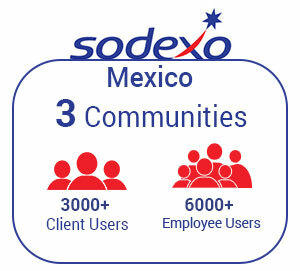 Sodexo Mexico is part of one of the world’s largest multinational companies providing facility services to organizations of all sizes including private corporations, government agencies, schools, hospitals, clinics, assisted-living facilities, military bases, and correctional facilities. 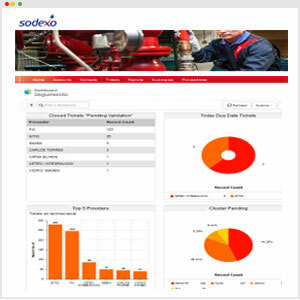 Sodexo Mexico services over 100 facilities for large clients such as Procter & Gamble, Unilever and GlaxoSmithKline. Managing the daily activities of over 2,500 service providers for the client facilities is no small task. The internal team was struggling to keep up with email communications and depended on spreadsheets to track requests and jobs. The sheer number of requests combined with manual tracking resulted in lost requests which compromised the company’s service levels and data accuracy. Sanchez decided to create an online ticketing system and leverage their Salesforce CRM to maintain a single system of record for management and reporting. He knew if he could find a solution that allowed providers to easily create and track tickets in Salesforce, much of this process could be streamlined. He wanted a solution that was easy to configure and maintain that would enable him to manage information access for different users. Reporting capabilities were also important to effectively measure performance and plan resourcing. Out-of-the-box seamless integration with their Salesforce CRM. Easy configuration to support the company’s unique business processes. Flexible portal solution - feature rich and cost-effective. With a Magentrix Community, the providers now have an easy way to create tickets and track their status on any device wherever they are. The internal team are able to manage tickets and communicate with providers without relying on email and have seen a dramatic decrease in time spent on administration. After seeing the impact on their ticketing process, Sanchez started looking at additional ways the Magentrix Platform could be used to optimize other business processes within the company. 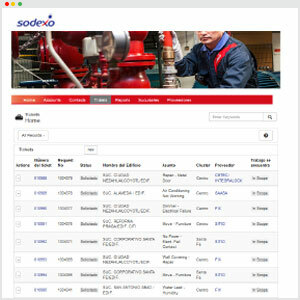 At the time, Sodexo Mexico lacked a centralized HR portal for employees and had significant costs for courier fees to distribute pay stubs to 170 locations. Mexican law now requires companies to make the pay stubs available in XML or PDF so Sanchez configured another portal with Magentrix that enables employees to securely access their records on-demand. In addition to dramatically lowering the costs of distributing the pay stubs, the HR site now hosts various internal resources and processes including training logs and records, complaints, employee performance appraisals and internal movements authorizations. Employees have found they can access everything with just a few clicks so engagement has significantly improved. Magentrix’s flexible architecture makes it easy to automate many businesses processes for partners, customers and employees resulting in reduced time and cost, improved productivity, communication and collaboration.